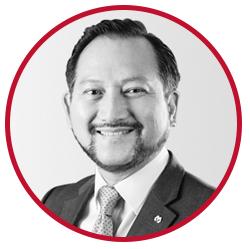 HRH Prince Amr has more than 29 years of extensive and diversified experience in commercial and investment banking, executive management, architecture and engineering. He is a Chairman of the Board of Supervisors of Dar Al Maal Al Islami Trust, and Chairman of Ithmaar Bank, Faisal Islamic Bank (Sudan) and Faisal Islamic Bank (Egypt). HRH Prince Amr is also Founder and Director of the Red Sea Design Consultants (Jeddah), Chairman of the Board of Directors of Al Daleel Company for Information Systems (headquartered in Jeddah with sister companies in Tunisia, Sudan and Pakistan), Al Wadi Company for Trading Ltd. (Jeddah) and Amr Establishment for Marketing and Commerce. He is a Fellow of the Saudi Association for Construction Societies, City Development and Clean Environment and a Member of the Saudi Council of Engineers. HRH Prince Amr holds a Bachelor of Arts Degree in Architecture from King Abdulaziz University, Saudi Arabia. 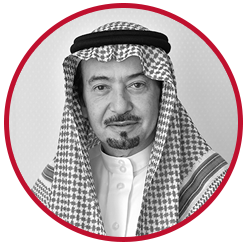 Sheikh Al-Zamil is a prominent businessman in the Kingdom of Saudi Arabia and in GCC countries, and has more than 37 years of experience in managing business activities in various sectors. He is a Member of Ithmaar Bank Board of Directors. He is also Executive Vice-President of Zamil Group Holdings Company and serves as the Chairman of Zamil Offshore Services Co. and Zamil Operations and Maintenance Co. Ltd.
Sheikh Al-Zamil is actively involved in various institutions such as the Chambers of Commerce, industrial companies and banks in his capacity as a Director. Educated in the United States, he has BS degree in Petroleum Engineering from the University of Southern California (USC) and an MS degree in the same major from West Virginia University, USA. 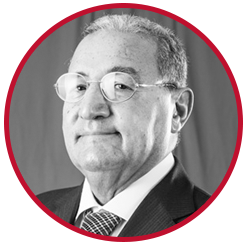 Mr. Aboumousa has more than 48 years of banking experience. 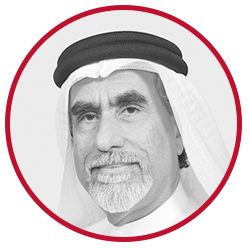 He is a Member of the Ithmaar Bank Board of Directors, and a member of the Dar Al Maal Al Islami Trust Board of Supervisors. He is Governor of Faisal Islamic Bank of Egypt, which he joined in 1979. 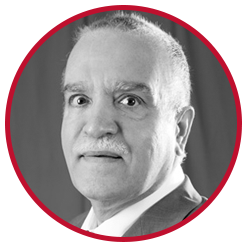 Prior to joining Faisal Islamic Bank of Egypt, Mr. Aboumousa worked in the Central Bank of Egypt for 16 years. He is a Member of the General Assembly of Misr Holding Company for Insurance – Egypt, and is also Head of the Egyptian–Saudi Business Council. He holds a Bachelor of Science Degree in Accounting and a Diploma in Finance from Cairo University in Egypt, and a Higher Diploma in Economics from Lwegi Boconi University in Milano, Italy. 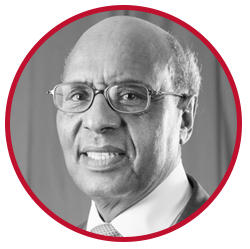 Mr. Ali has more than 49 years of experience in financial and general management in development as well as commercial and investment banking in Africa, the Middle East and Europe. He is a Member of the Ithmaar Bank Board of Directors. Mr. Ali is Founder and Chairman of the Board of Directors of Quadron Investments Co. Ltd. (Sudan) and Integrated Property Investments (United Kingdom and Tanzania). Previously, Mr. Ali served at Dar Al Maal Al Islami Trust (DMI) where he was Chief Executive Officer and Chief Operating Officer from 1986 to 1999 and, before that, Executive Vice-President Finance and Vice-President in charge of Internal Audit from 1983 to 1986. Prior to his DMI appointments, Mr. Ali was Director of Finance and Chief Financial Officer at the Arab Authority for Agricultural Investment and Development (Sudan). He has served in the African Development Bank for ten years and his last post there was CFO of the Bank. He has also served in the Arab Fund for Economic and Social Development and the Arab Authority for Agriculture and Investment where he was also the CFO. He has served these two institutions for seven years. Mr. Ali is a Certified Accountant, Leeds College of Commerce, UK, and a Fellow of the Association of Chartered Certified Accountants. 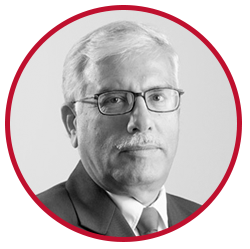 Mr. Tahlak has more than 37 years of experience in the United Arab Emirates public and private sectors. He is a member of the Ithmaar Bank Board of Directors. Mr. Tahlak is currently a private consultant to the UAE Minister of State for International Cooperation, and ambassador for Expo 2020 after he resigned as Senior Executive Vice President at Emirates NBD following the Emirates NBD 2007 merger between the National Bank of Dubai (NBD) and Emirates Bank International (EBI). He is currently a board member of the World Union of Arab Bankers in Beirut. Mr. Tahlak has held various management and banking positions including Chairman of NBD Islamic Finance “Al Watani Al Islami”, Chairman of Abu Dhabi Investment House, Board member of Industrial Bank in Emirates, Board member of Emirates NBD Securities, Board member of Emirates NBD Investment, and Board member of UAE Banks Federation. He built and developed strong relationships between banks and across official and government entities, and contributed to developing expertise within the UAE banking industry. He also played a major role in developing banking and financial system in the UAE and was a member of various committees at the Central Bank as well as several councils at universities and colleges that worked to address local market requirements, and develop the UAE banking system. Prior to his banking career, Mr. Tahlak served in the UAE Ministry of Foreign Affairs as Head of the International Organization Desk, Diplomatic Department. During his diplomatic career, he joined several official delegations and attended international sessions and meetings. He also participated in several regional and international conferences, and was delegated for short periods to work with the United Nations. Sheikh Elkhereiji has more than 40 years of diversified banking and management experience. He is a member of the Ithmaar Bank Board of Directors. Sheikh Elkhereiji is the Chairman of many companies in Saudi Arabia, including Elkhereiji Holding Group, Dar for International Food and Bakery and Abdulla Elkhereiji Sons Real Estate Company. Sheikh Elkhereiji is a member in the Board of Supervisors of Dar Al-Maal Al-Islami Trust, and is a member of the Board of Directors of Yanbu Cement Company (Saudi Arabia) as well as the Worldcare International Company (United States of America). 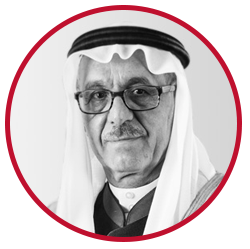 Sheikh Elkhereiji is also a member of the Foreign Relations Committee of the Jeddah Chamber of Commerce, a member in the Honorary Advisory Council for the Environment and a member of the Board of Directors of Bayan Educational Institution. Previously, Sheikh Elkhereiji was the Chairman of Faisal Investment Bank (Bahrain). He holds a Bachelor degree in Law from Cairo University, Egypt, a Diploma in Change Management from Harvard, USA, and a Diploma in Marketing Management from the International Marketing Institute, Cambridge in USA. 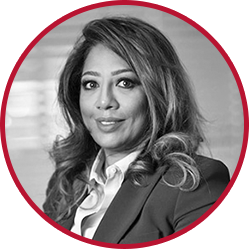 Mss Hasan, who has more than thirty years of diversified experience in the financial services industry, is a member of the Ithmaar Bank and the IB Capital Board of Directors. 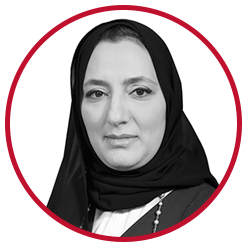 She is currently Chairwoman of Taaheal Healthcare and an Advisor on Business and Corporate Strategy, as a well as a Board Member of Mumtalakat, Solidarity Group Holding – Bahrain and BNP Paribas Investment Company – Saudi Arabia.